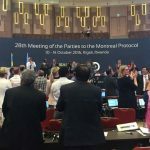 Today, in Kigali the world reached an agreement to amend the Montreal Protocol on Substances that Deplete the Ozone Layer to Phase-down hydrofluorocarbons (HFCs). 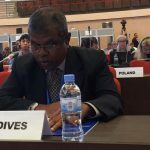 The “Kigali Amendment” to phase-down HFCs is the single largest contribution the world has made towards keeping the global temperature rise “well below” 2 degrees Celsius, a target agreed at the Paris climate conference last year. HFCs are chemical substances that are used in refrigeration and air conditioning as substitutes for ozone-depleting substances. HFCs are currently the world’s fastest growing greenhouse gases, their emissions increasing by up to 10 percent each year. They are also one of the most powerful, trapping thousands of times more heat in the Earth’s atmosphere than carbon dioxide (CO2). 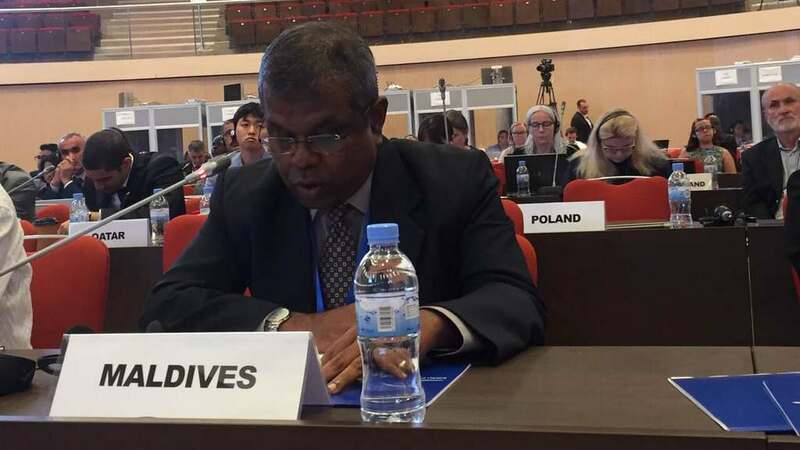 Reducing emissions of HFCs under the Kigali Amendment can prevent up to 0.5 degree Celsius of global warming while continuing to protect the ozone layer. 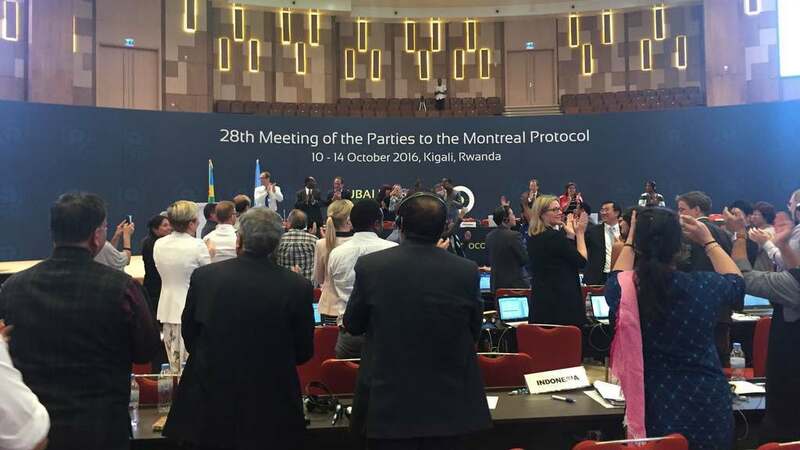 Following seven years of negotiations, the 197 parties to the Montreal Protocol reached a compromise, under which developed countries will start to phase down HFCs by 2019. 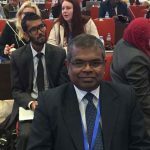 Developing countries will follow with a freeze of HFCs consumption levels in 2024, with some countries freezing consumption in 2028. The Montreal Protocol on Substances that Deplete the Ozone Layer is far most successful UN environmental agreement in history. 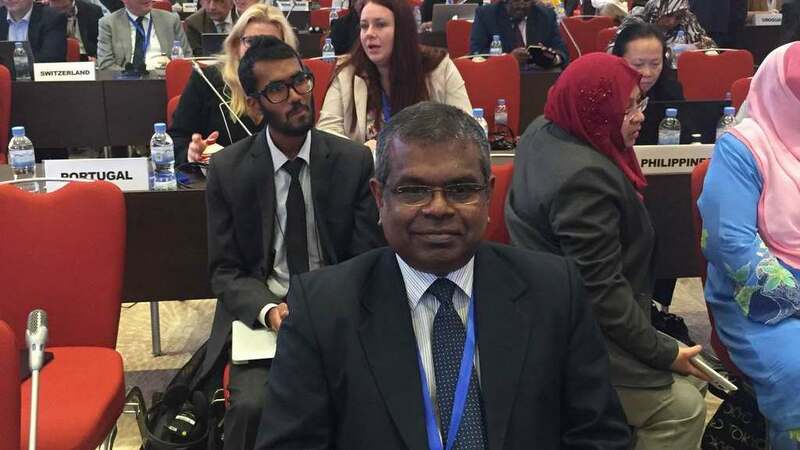 Ratified by 197 parties, it has led to a 98 per cent decrease in the production and use of ozone-depleting chemicals, helping the ozone layer to start recovering, saving an estimated two million people each year by 2030 from skin cancer and contributing to mitigating climate change.